Wolf Commercial Real Estate, the leading Cherry Hill commercial real estate brokerage firm that specializes in Cherry Hill commercial real estate listings and services, is now offering premier Cherry Hill office space for sale or lease in the Cherry Hill Office Center at 950 North Kings Highway Cherry Hill NJ. This Cherry Hill professional office space for sale or lease is housed in a well-maintained, income-producing Cherry Hill office building for sale or lease. This Cherry Hill professional office building for sale or lease presents an ideal headquarters opportunity for an owner-occupant. The asking sale price of this professional office space in Cherry Hill is $2,640,000, while the asking lease price has been set at $16.00/sf full service. This Cherry Hill professional office space for sale or lease is being offered for immediate occupancy through Wolf Commercial Real Estate, a Cherry Hill commercial real estate broker with expertise in Cherry Hill commercial real estate listings and services. This Cherry Hill office building for sale or lease in the Cherry Hill Office Center at 950 North Kings Highway Cherry Hill NJ features suites for lease in sizes ranging from 876 square feet to 10,058 square feet. 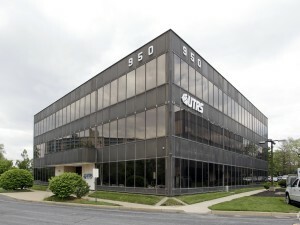 There is a total of 29,029 square feet of professional office space in Cherry Hill in this Cherry Hill professional office building for sale or lease. Renovations recently completed at this three-story Cherry Hill office space for sale or lease include a new roof, HVAC systems, elevator and lobby areas. Located in the Kings Highway Business District, this Cherry Hill professional office space for sale or lease provide easy access to Routes 70 and 38, I-295 and the New Jersey Turnpike. There are numerous amenities near this Cherry Hill office building for sale or lease in the Cherry Hill Office Center at 950 North Kings Highway Cherry Hill NJ, including the Ellisburg Shopping Center and the Cherry Hill Mall. Parking is plentiful at this Cherry Hill office space for sale or lease, with a ratio of 5.0/1,000 sf. Building signage also is provided to tenants at this Cherry Hill professional office building for sale or lease through Wolf Commercial Real Estate, a Cherry Hill commercial real estate brokerage firm with expertise in Cherry Hill commercial real estate listings and services. More than 271,800 people reside within a five-mile radius of this professional office space in Cherry Hill. The average household income in the same geographic area near this Cherry Hill professional office space for sale or lease is $92,045. For more information about this Cherry Hill office space for sale or lease in the Cherry Hill Office Center at 950 North Kings Highway Cherry Hill NJ or about any other Cherry Hill commercial properties for sale or lease, please contact Jason Wolf (856-857-6301; jason.wolf@wolfcre.com) at Wolf Commercial Real Estate, a Cherry Hill commercial real estate broker that specializes in Cherry Hill commercial real estate listings and services.